Simulated Diamond Engagement Ring. For the lady who enjoys her place in the spotlight, don't look any further, this striking Simulated Diamond Engagement Ring. Made in .925 sterling silver and 14k Yellow gold plating. 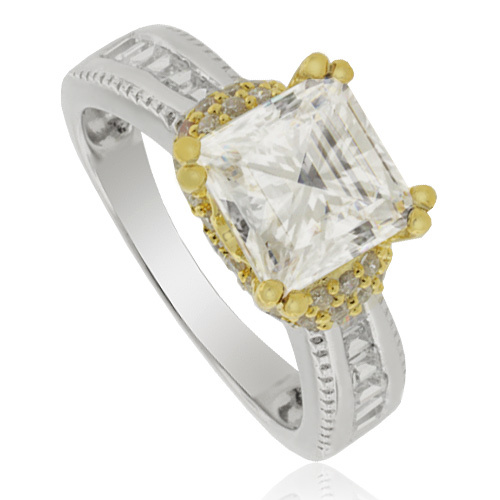 The stunning design showcases a princess cut, very high quality cubic zirconia set in a classic four-prong crown. Basically shocking from edge to edge.